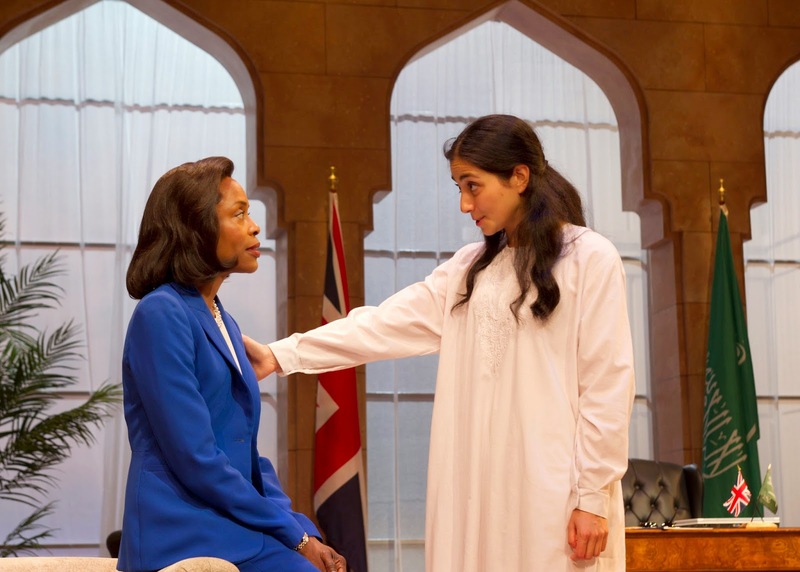 Zealot is a play that takes place in a predominantly Muslim country, juxtaposing the interests of two Western ambassadors with the struggle for women's rights in the Muslim community. 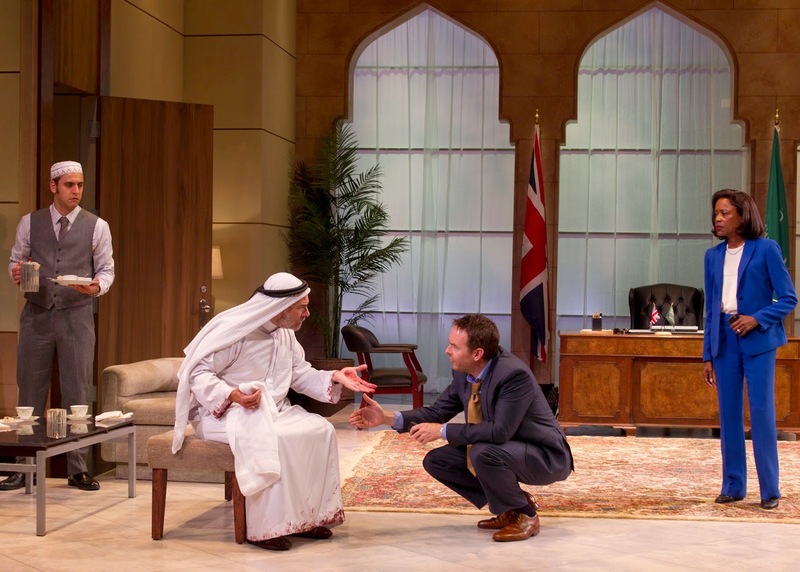 Written by Theresa Rebeck, the story focuses on a savvy and somewhat hardened British diplomat who has worked diligently to maintain good relationships with local Muslim leaders. His success in managing these relationships is challenged when a African-American Muslim ambassador from the US pays a visit during a religious holiday based on intel that there could be an uprising. Her intel is correct, and in walks a young Muslim woman looking for asylum. How to respond to this woman and keep the peace with the Muslim leaders becomes the main tension in the play. It is a story that explores faith, politics, gender, and religious fervor .... and there are no easy answers. Theresa Rebeck skillfully paints characters that are both flawed and empathetic in this world premiere at South Coast Rep. Each character is facing difficult choices, and their integrity is put to the test. Loyalty to country, to ethics, and to religious convictions create a dramatic conflict for each person individually and interpersonally. The play raises some profound questions about western influence, religious extremists, and the ways religion can affirm discrimination. We really enjoyed the play, and it left us talking for hours afterwards about all of the themes presented. It was well acted, and simply staged so that the story and characters were the highlight. We appreciated the way it got us thinking and challenged some of our own beliefs as well. 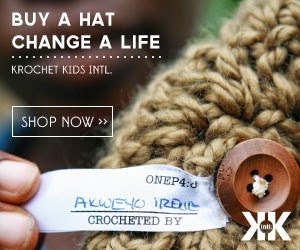 It is a great date night destination, and could be a discussion provoking experience for parents with teenagers as well. 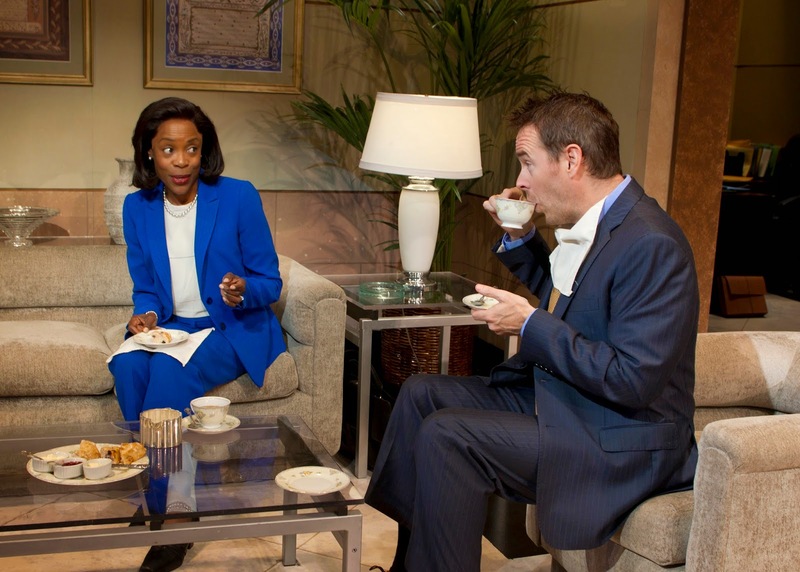 Zealot runs from October 17, 2014 - November 16, 2014 at South Coast Repertory.